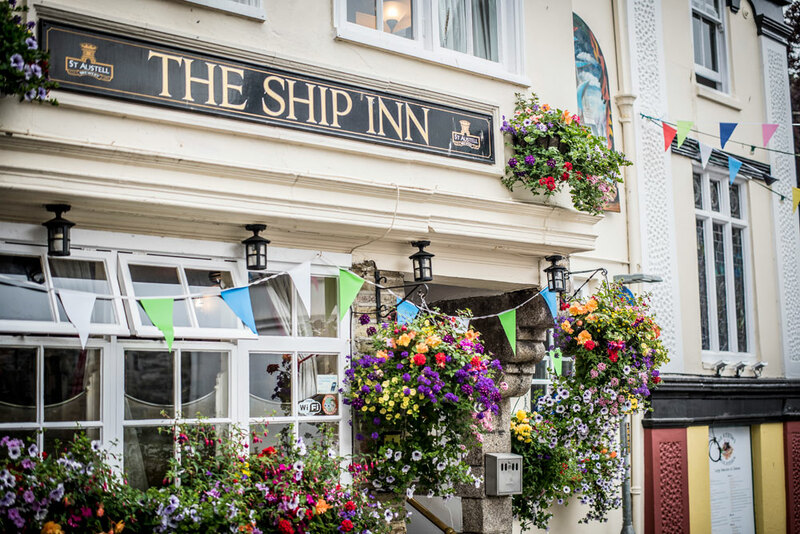 The Ship Inn, Fowey: Best Pub in Fowey? Built by adventurer John Rashleigh in 1570, The Ship Inn is Fowey’s oldest pub. For more than four centuries the inn has been the focal point of our beautiful Cornish port – a haven for travellers, merchants, fishermen between hauls, and locals looking for a chat around the huge open fire. It’s a tradition that has been embraced under our new management. Still the same friendly pub reviving customers from all walks of life, but now feeding and keeping you even better. The menu makes full use of the fish and seafood coming in to port every morning and the superb produce from nearby farms. The drinks include a healthy dose of Cornish ales, a proper wine list and real coffee for the morning after. What a find. A great old pub with a restaurant that must be unique in the uk. The stained glass window is worthy of a cathedral let alone a humble pub. David, the new patron and chef, is very good. His food is exciting and well priced. The fish pie I tasted was fab. Lovely log fires and lots of snugs, landlord doesn't mind us getting quietly hammered in the corner with the papers. Good ale. Nice historic pub, used to be lived in by one of Walter Raleigh’s mates, who fought with him against the Spanish Armada. The pub has a nice sprinkling of locals and tourists alike. Mainly locals and a few discerning visitors. Lovely old building smack in the middle of town and has that nice warm feeling which comes from the olde-worlde interior and the open fire blazing away. My favourite of the Fowey pubs. A characterful interior that actually hints at it's history. Fowey's most atmospheric boozer - the open fire's ideal in the winter - with proper history and welcoming staff.